Photograph: City illuminated by lights at dusk. High-tech transportation, climate control, and access to water have eliminated much of the burden of life in the desert. Today, more than a billion people live in deserts around the world. 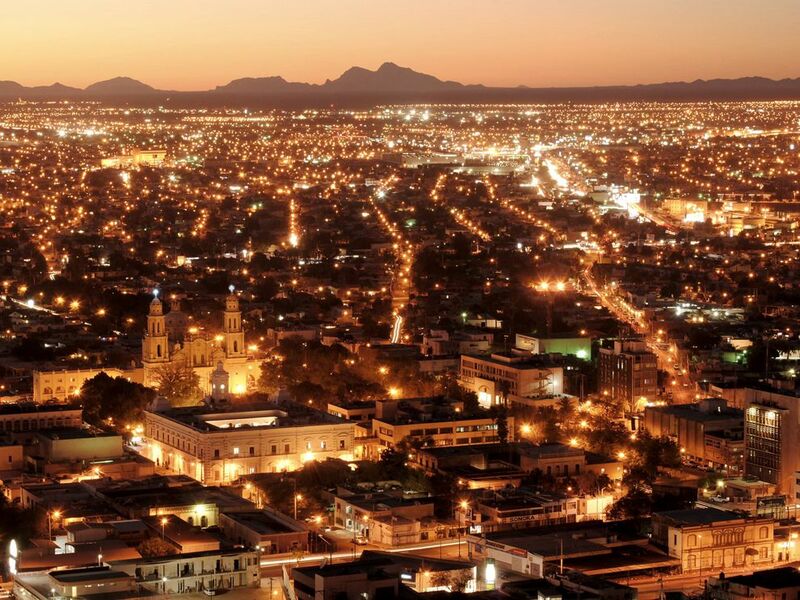 Hermosillo, Mexico, is a sprawling urban area in the Sonoran Desert. More than 700,000 people live in Hermosillo, which is the center of manufacturing in the state of Sonora. On June 1, 2002, the world's first light-pollution law was enacted in the Czech Republic.